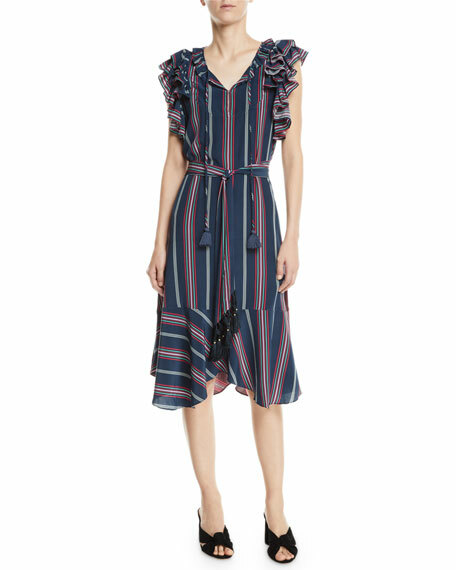 Alice + Olivia "Ilissa" silk dress. For in-store inquiries, use sku #2528129. 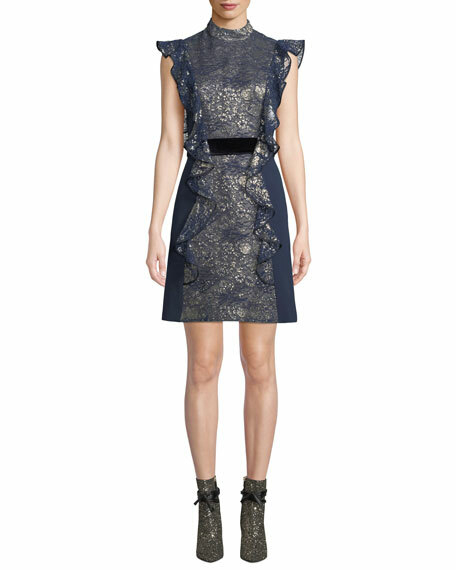 J. Mendel cocktail dress in silk with metallic floral jacquard. Mock neckline with back closure. Cascading flutter trim. Belted waist. Open back. Slim A-line silhouette. Knee length. Silk. Made in USA of imported material. 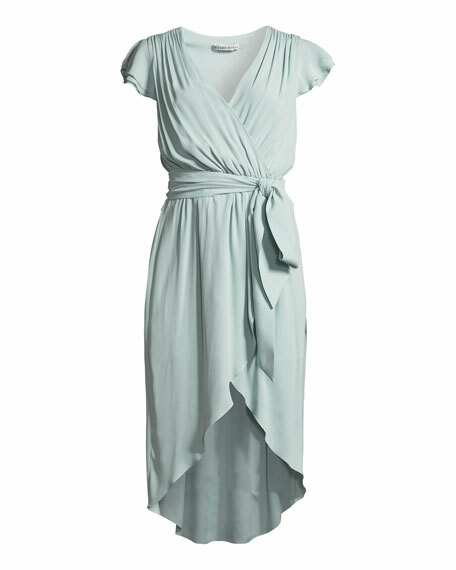 Michael Kors cocktail dress in chiffon. 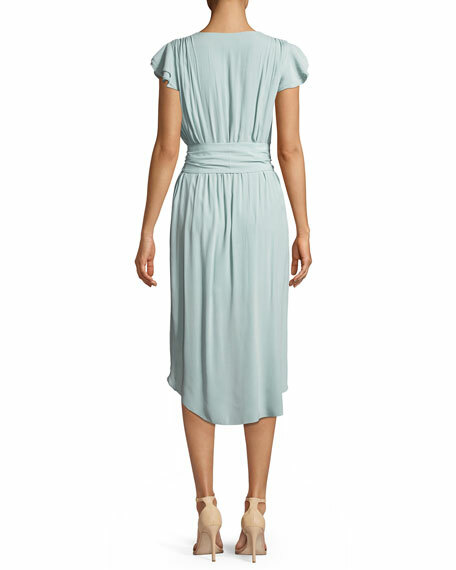 Crew pleated neckline. Short flutter sleeves. Belted waist. Peplum overlay. 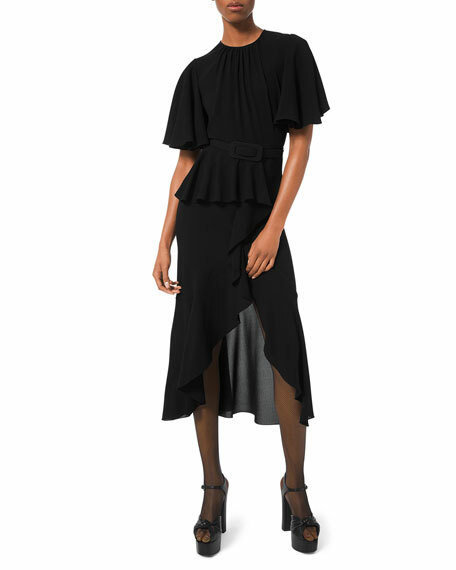 Faux-wrap skirt with cascading ruffle. A-line silhouette. Tulip hem. Silk. Made in Italy. 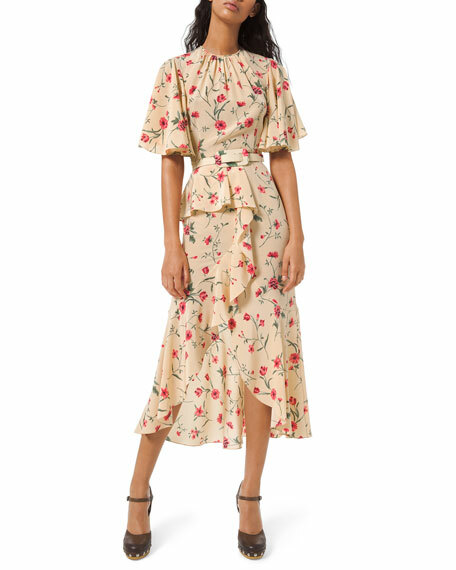 Michael Kors cocktail dress in floral-print chiffon. Crew pleated neckline. Short flutter sleeves. Belted waist. Peplum overlay. Faux-wrap skirt with cascading ruffle. A-line silhouette. Tulip hem. Silk. Made in Italy.